Revolution and state breakdown are the focus of this important new book that analyzes the most prominent theories of revolution and points to future directions. Covers famous revolutions from history (France, China, Russia) and those in the developing world in addressing such key questions as "why are revolutions so rare?" Revolutions also looks at the state breakdowns in Eastern Europe after 1989, the typical outcomes of revolutions, and the possible future of revolutions. An appendix presents biographical and autobiographical sketches of several of the most prominent students of revolutions. 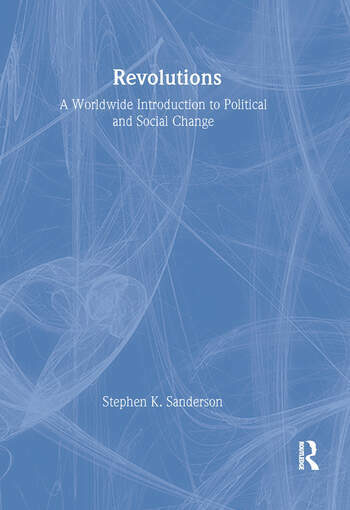 Contents: Understanding Revolutions. The Great Historical Revolutions. Revolutions in the Third World. The Causes of Revolutions: I. The Causes of Revolutions: II. The State Breakdowns in Eastern Europe. The Outcomes of Revolutions. The Future of Revolutions.